To contact Gotham leaders, including Board members, click here. To find contact information for someone in our Power training program, click here. You can join our division play and Power (training) programs during tryouts, which occur the beginning of each of our seasons, Fall (August/September), Spring (January/February) and Summer (June). In the summer, we operate at a reduced capacity. Since we cannot add members between tryouts, you can check out our Open Play and Friendship Tournament offerings. What level/position is right for me? There’s more information on our Gotham Levels page. I can’t make tryouts! Can I still play? Please click here and check out our “Do I have to go to tryouts to participate in the season” section. 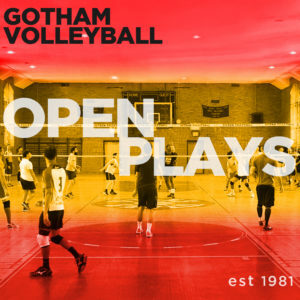 Outside of Division and Power, we have open plays and tournaments throughout the year that you can register for individual dates. Where can I find the most current information on the league? You can click here for the most up to date information of the season. You can also learn more about our organization through our official Facebook page. Have a more specific question? Please use the form below to contact us by email.